Bikes create freedom. That may sound odd. But think about it. Think about the first time on the bike. The freedom parents give children when they let them ride down the street for the first time. The freedom the bike creates to get to school, or a job, or take a trip. East Setauket native Matthew Wilkins grew up with a love of bicycles. “We were always biking on family vacations,” Wilkins said. It wasn’t until he was in seventh grade though that he first began to realize the freedom a bike can create. That trip started a tradition for Wilkins of getting on a bike and riding until he didn’t want to ride anymore. During college at George Washington University, Wilkins decided to make his own bike. Not surprising for an engineering student. But he couldn’t figure out what materials to use that wouldn’t cost him a small fortunate. In addition to being cost effective bamboo makes for a good bike because the material is lightweight and strong. 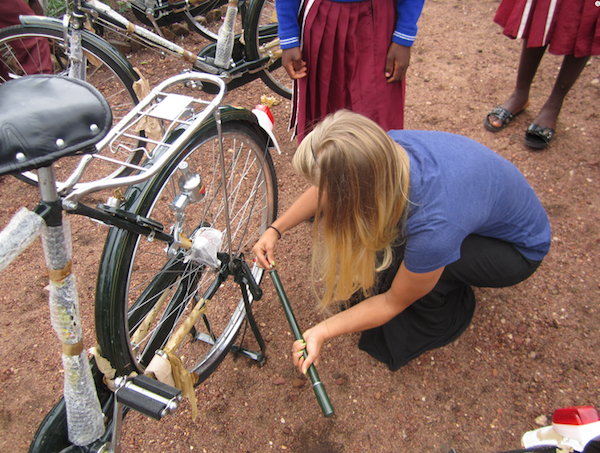 While pedaling the bamboo bikes absorb the energy of pedaling to go right back into the bike. Making it sustainable to make and ride. 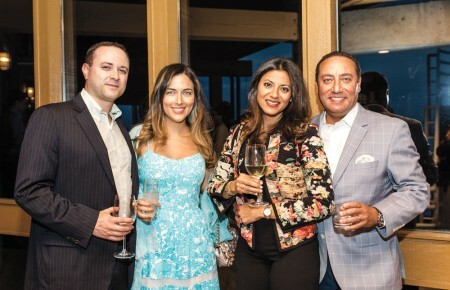 It was around this time that one of Wilkins’s friends, who was studying aboard started talking about Clinton Global Initiative Academy (CGIA) and how they should an idea. The CGIA brings students, youth organizations, experts in various fields and celebrities together to discuss and develop ideas to solve problems around the world. Wilkins immediately thought about to that bamboo bike and the freedom bikes had gave him as a child. He had the idea of building and selling bamboo bicycles in the US, and donating one bike for every bike to an organization overseas, which would give out the bikes in communities where bikes could empower local people. 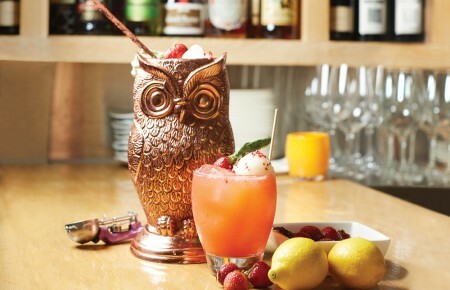 The idea won the CGIA’s Great Ideas contest in 2012, and for the past two years Wilkins, Christopher Deschenes and Elizabeth Hubler have spent time refining their product and getting founding. This October, their organization Pedal Forward, will start selling bikes, starting at $399 a bike. 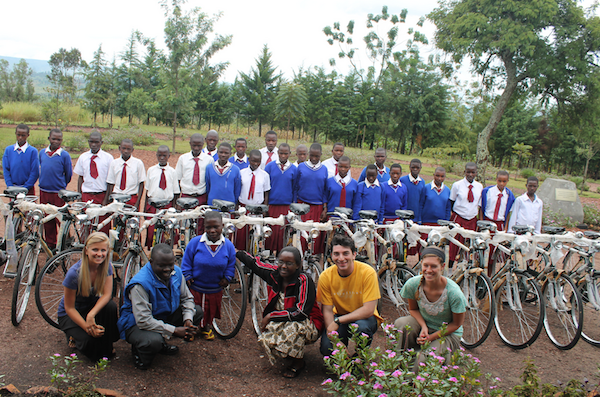 A percentage of the sales will go to the Tumaini Fund: Bicycles for Orphans Project and Bicycles Against Poverty. “We realized the cost of shipping a bike to one of those organizations would add to the cost and also that we’d be taking away from organizations already providing bicycles,” Wilkins said. 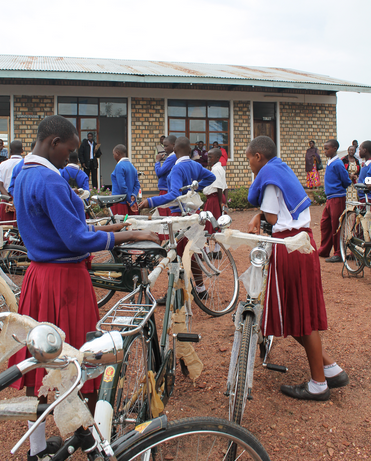 In 2013, they brought 35 bikes to Tanzania where eligible students, recommended by their teachers, were allowed to take them for use. 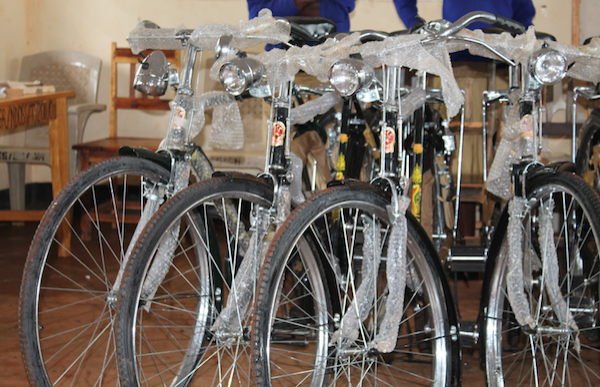 Eventually, the small staff wants to build bikes in Tanzania and the US, with domestic sales in the US underwriting the bike production in Tanzania. 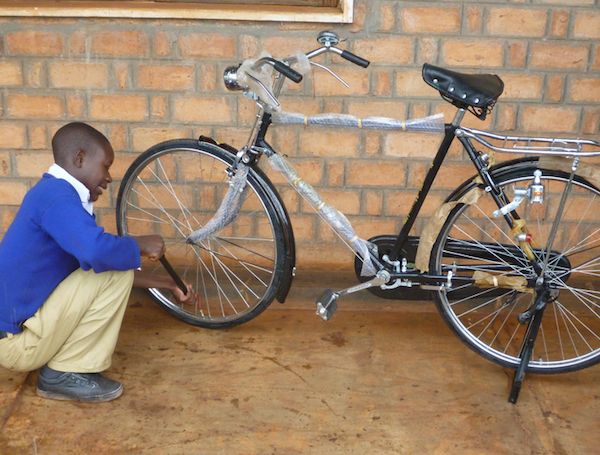 Pedal forwarding from the US to Tanzania.